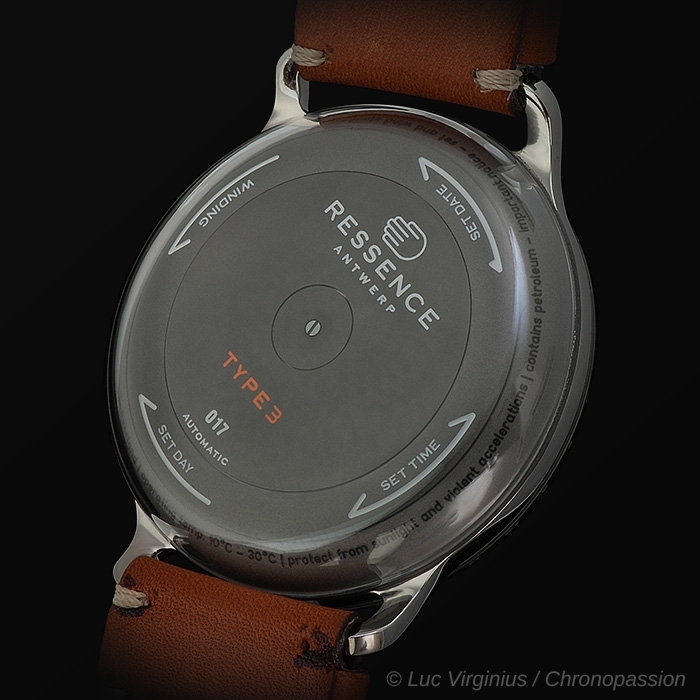 The philosophy behind the development of the TYPE 3 is based on RESSENCE's quest for the essential beginning in 2010 with the introduction of the ZERO SERIES. It is characterized by purity and modernism. 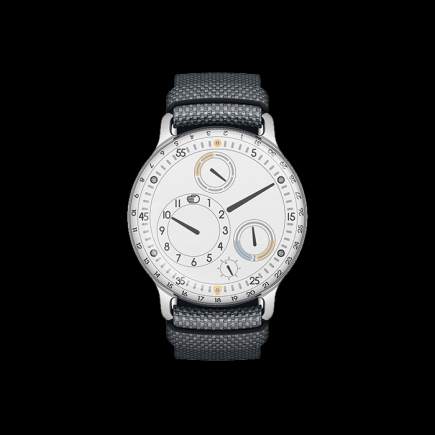 This quest for timeless design includes the process of reconsidering the watch as we know it; a process illustrated by the elimination of the traditional hands, the removal of the crown and by the use of invisible fluid technology. Only a fresh eye rooted in industrial design could envision those pioneer ideas for fine watchmaking. 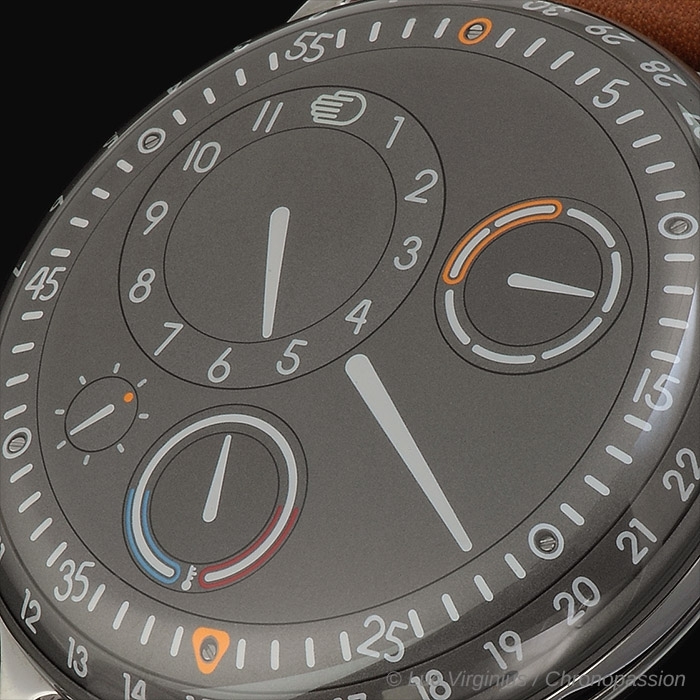 The new TYPE 3 consolidates RESSENCE’s expertise in the field of innovation by introducing an oil temperature gauge that indicates precisely the ideal temperature range for the watch. The TYPE 3 capitalises on the advanced technology of the ROCS patent. ROCS stands for Ressence Orbital Convex System and is a state-of-the-art complex mechanism composed of 158 parts, 35 gears and 52 jewels. For antimagnetic and lightweight purposes, all components are in titanium grade 5 with the exception of the gears. Its entire development process was governed by three words – precision, creativity and readability. One of the main ROCS characteristics is the unique approach for displaying the time: discs replace traditional hands. Sub-discs continually revolve, as does the main disc. 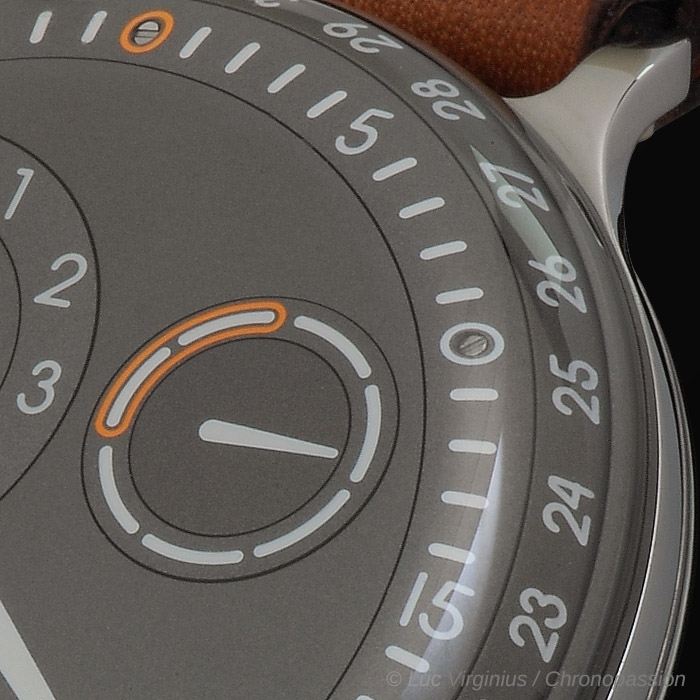 The face of the watch is therefore constantly changing. The convex discs are displaying hours, minutes, runner (360 seconds), days of the week, oil temperature, and the date. They may be seen as the dial in a traditional watch but are in fact the ROCS’s bridges (as the top of an iceberg). The only information needed from the movement for the ROCS to generate and regulate all the functions of the watch is the minute. 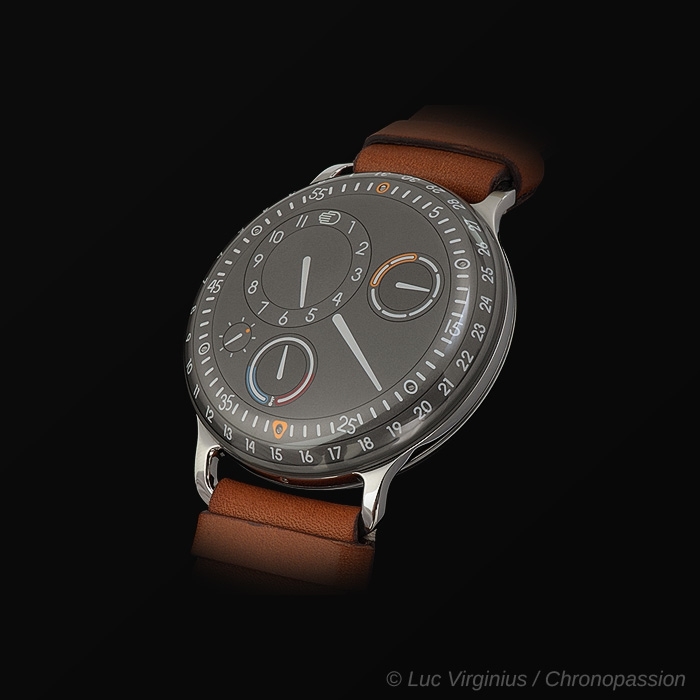 The TYPE 3 architecture consists of three main elements: the central section made from a titanium grade 5 plate that integrates the lugs for the bracelet; the upper section with the ROCS submerged in oil; and the lower section housing the movement and the winding/setting mechanism. Minute information is transmitted from the movement to the ROCS via micro-magnetic fields as it is completely sealed and physically separated from the lower section by a hermetic titanium grade 5 membrane. An anti-magnetic cage (acting as a Faraday cage) protects the movement from the magnetic fields. 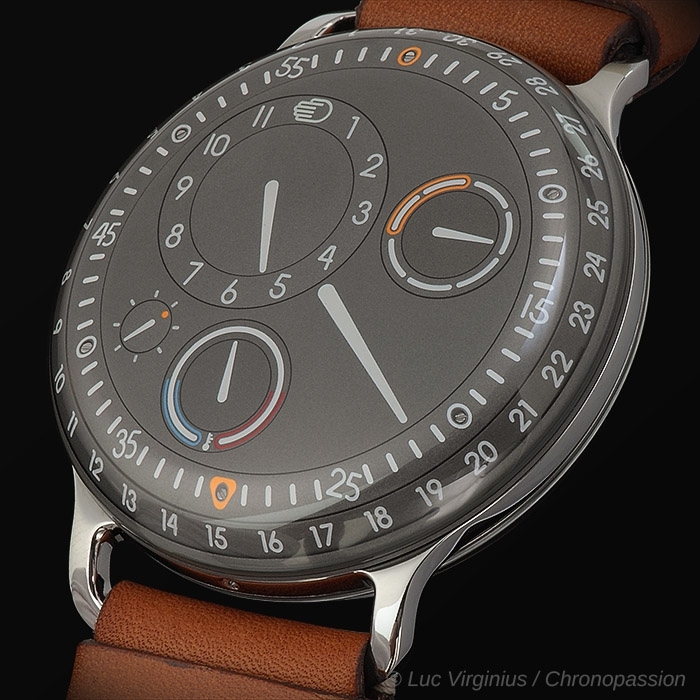 can be hand-wound by turning the caseback clockwise. Setting the day can be done by turning it anti-clocking wise. Time can be set in either direction. 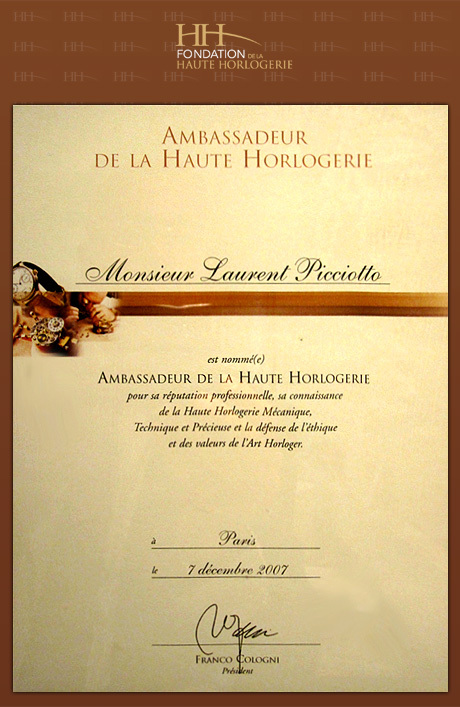 The information discs and the date ring bathing in oil appear to be mysteriously displayed directly onto the glass. This unique water drop effect is due to the elimination of light refraction between the discs and the sapphire crystal. The brain is tricked and loses the impression of depth. Moreover, information can be read from very shallow angles as the whole surface of the anti-reflective sapphire crystal is used. 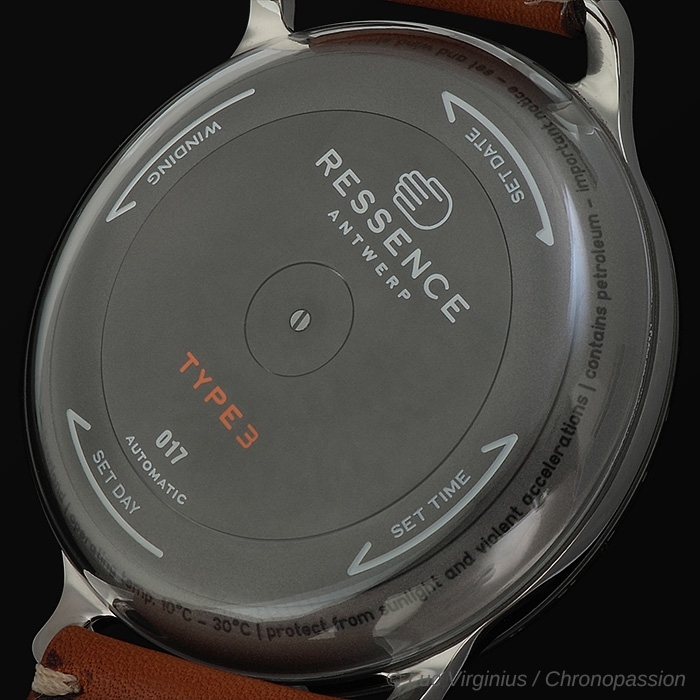 The water drop effect is reinforced by the distinctive RESSENCE’s aesthetic: TYPE 3s are curvy. 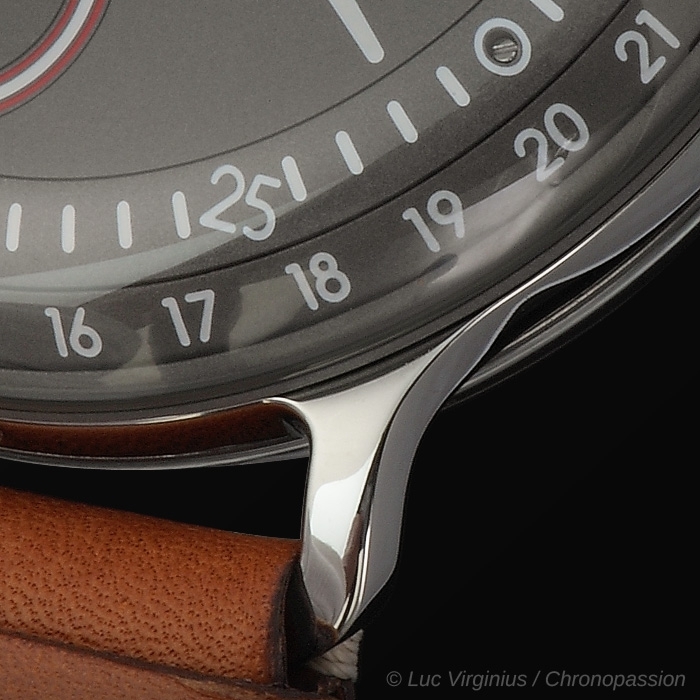 They are pebble-like pieces in opposition to the sharp edged traditional fine watchmaking. The discs of the ROCS as the whole case itself have a 125mm radius sphere shape and require specific know-how and tools to be produced. 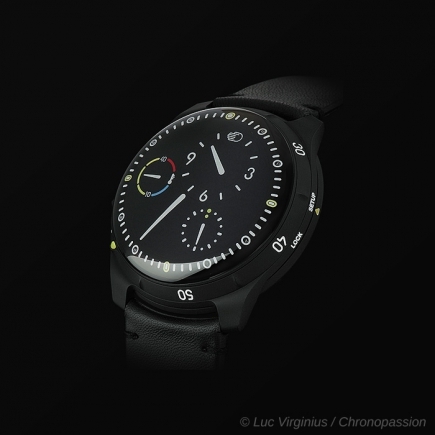 The watch, made of titanium grade 5, weights only 75 grams. 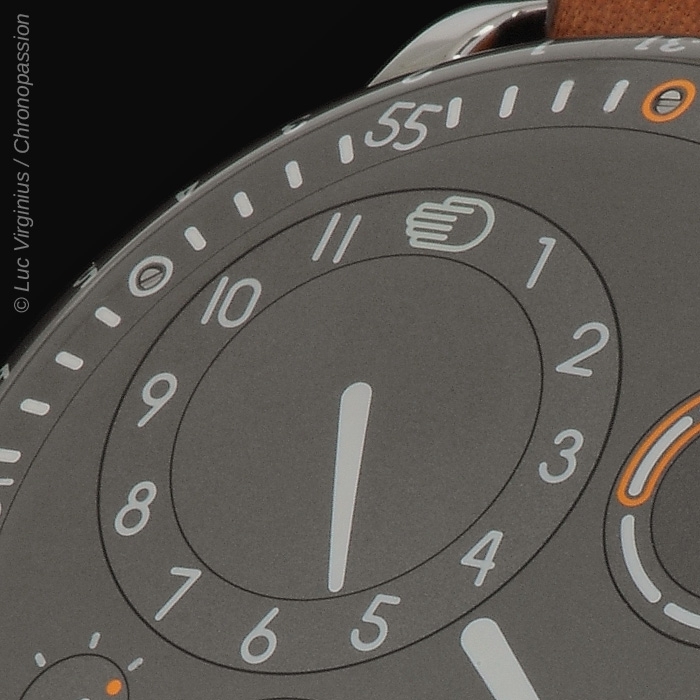 Comfort on the wrist and enjoyable touch were key priorities during TYPE 3’s development. The TYPE 3 upper half is filled with 35.2 ml of oil for a never-seen-before visual effect. Oil has remarkable properties but is sensible to temperature variations. The TYPE 3 includes therefore seven bellows that compensate for oil’s expansion or contraction. 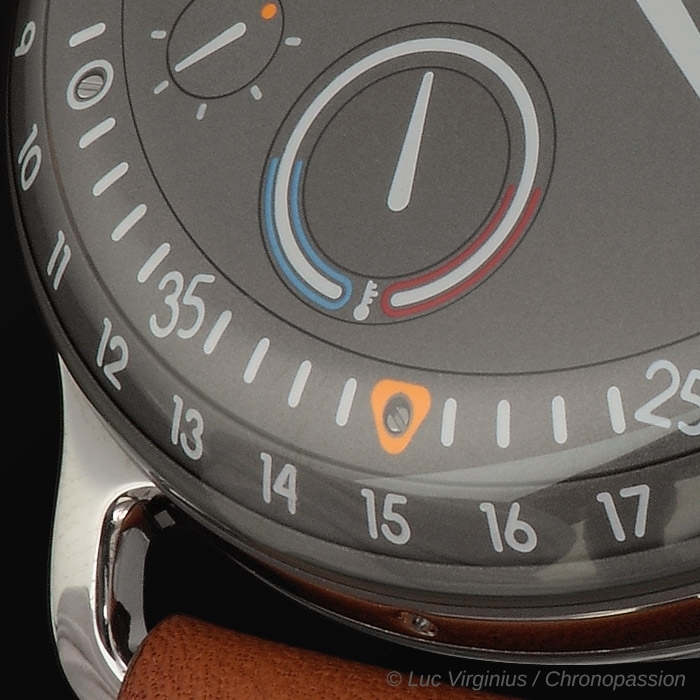 A mechanical thermal gauge has been added to inform precisely when the watch is performing at its best. The 0.5 mm bi- metal spiral is mounted 0.1 mm under the discs to captures the slightest temperature change inside the oil, ranging from -5 degrees to +55 degrees Celsius. 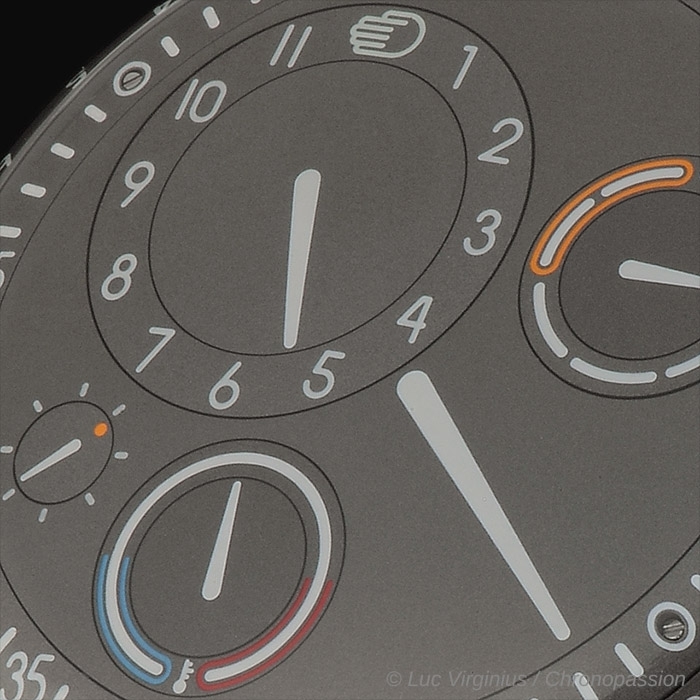 Finally, with the new TYPE 3, RESSENCE shares its vision of fine watchmaking by pushing existing boundaries and creating timepieces at the forefront of innovation. 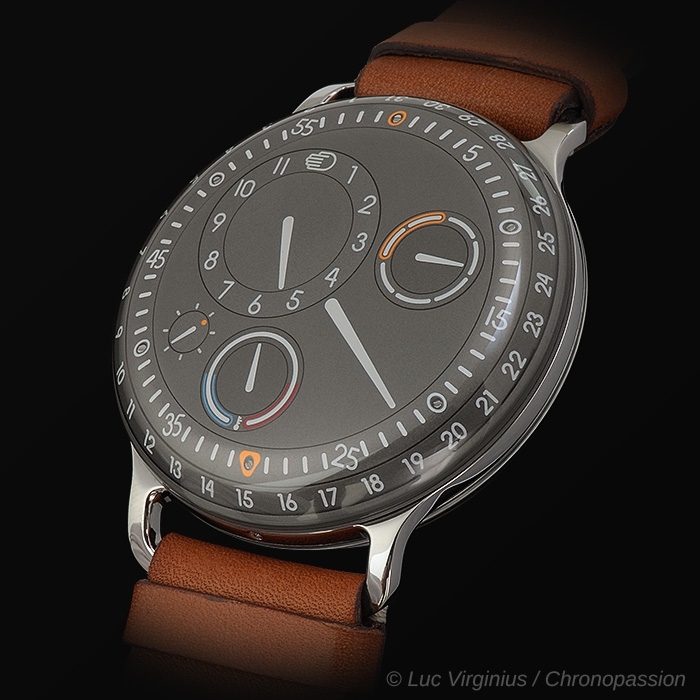 Founded in 2010 by Benoît Mintiens, RESSENCE is a unique horological start-up creating and manufacturing innovative contemporary mechanical timepieces. 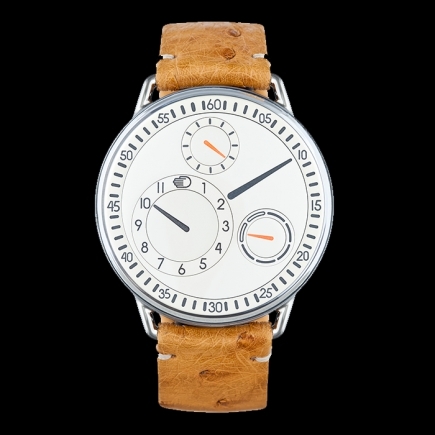 They are designed in Antwerp and made in Switzerland.